„I will instruct you and teach you in the way you should go; I will guide you with My eye“. May Christ, our Lord, abundantly increase your ministry. Congratulations Peter! I can still see you and your brother (now, which is which?) in my Imperial classroom. My, my how time flies by. How could that little boy from overseas now be a minister in Christ’s service!! I’m sure you will serve Him well. Best wishes. Congrats to all of you soldiers in the Army of the Lord. God continues to do GREAT THINGS! I read your recent update, in it you correctly focused on Jesus as the centrality of the bible and the gospel. 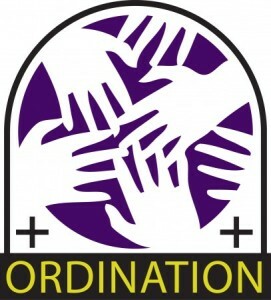 Then I noticed that you posted an announcement about ordinations. Of the four people ordained as elders, three were women. I wonder where in the bible does it say women can be ordained as elders? Tom Mahon, GCI provides its biblical warrant for ordaining female elders in multiple articles that address this topic. You’ll find an index to those articles at https://www.gci.org/articles/women-in-ministry/. I wish to congratulate you Peter Edalere for your recent ordination. May our Lord God bless and enrich your ministry. Regards from my family.